Nintendo hit a homerun with its first smartphone "game." Ok, Miitomo isn't really a game per se, but is a messaging app that allows you to communicate to your friends and family. Each person is represented by his own Mii, an avatar designed by the user to resemble himself, other people or fictional characters. 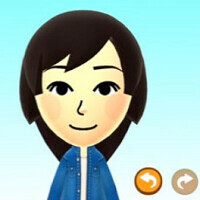 The app got off to a hot start in the U.S. and Japan; while the app is free to download, it will cost you real money to buy accessories for your Mii. Clothing is for sale, priced in Miitomo coins. The coins can be purchased in-app. For example, a pirate outfit for a Mii is priced at 5530 Miitomo coins. Considering that 5500 such coins will cost you $4.99 in real money, you can see where this could turn into a nice source of income for Nintendo. Especially when you consider that the item being purchased isn't made of any real material except for computer code. Starting April 27th and running through May 29th, Miitomo users will be able to spend coins left and right for clothing, hairstyles and shoes based on the Wii U game Splatoon. A tweet sent out by Nintendo of America reveals a promotion open to all U.S. Miitomo users. If Nintendo garners 10,000 Retweets of the tweet embedded below, every player will receive for free, an Inkling boy's wig. If the tally hits 20,000, both boy and girl wigs can be downloaded for free. The deadline to hit the Retweet target is this coming Tuesday, April 26th, at 7:59am PDT. Miitomo users will claim their freebies (assuming that enough Retweets are posted) by opening the app between April 27th and May 29th. The promo items will be inside each user's gift box.